14 Warehouses to Serve You www.jdsindustries.com | sales@jdsindustries.com | 800.843.8853 Orders Placed by 4PM Ship Same Day! Call for Samples Today! 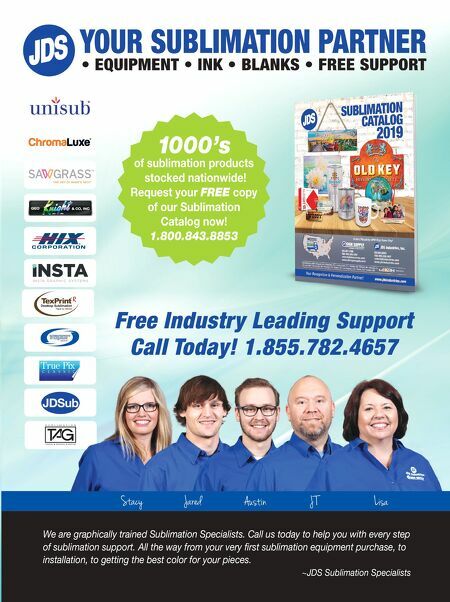 Your Recognition & Personalization Partner STANDARD MUG PRESS! 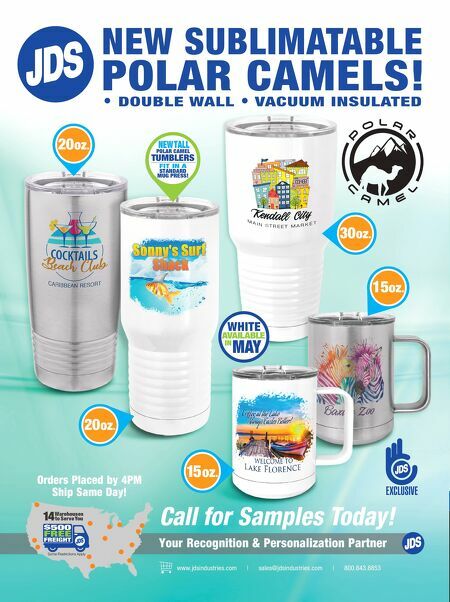 NEW TALL POLAR CAMEL TUMBLERS FIT IN A NEW SUBLIMATABLE POLAR CAMELS! • DOUBLE WALL • VACUUM INSULATED 15 oz.